Most orders take 1-2 business days to process before leaving the warehouse. Items from 3rd party (aka “Marketplace”) sellers may take 1-3 business days. 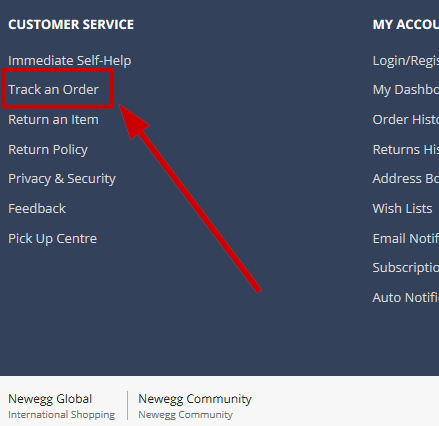 To check the status of an order, scroll to the bottom-left of the Newegg website then click on the Track an Order link beneath the Customer Service header. If you placed your order under a Newegg account, you will need to sign in under “Returning User”. If you do not remember your Newegg ID and/or password, please click on the “Forgot Your Password” link to receive an email allowing you to reset your password. If you placed your order as a guest, enter your order number followed by your email address or shipping postal code, then click on the “Find My Order” button. 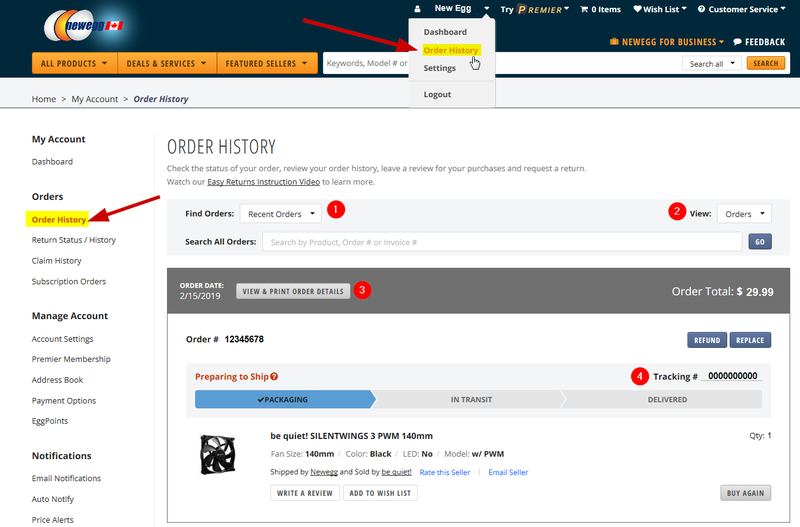 When logged into your account, click on “Order History” to view the orders you placed. You have a few options available on the Order History page such as viewing your current order status, check tracking and more. Find Orders: Orders will be displayed based on the time frame you select. View: This option gives you the ability to view all, open, or canceled orders. View & Print Order Detail: Click on View Details to view details such as current status of an order, shipping information or contents of your order. Tracking #: Detailed tracking information on an order.